We will lead the way. CHEMPHTEC - LEADING THE WAY TO SUCCESS! 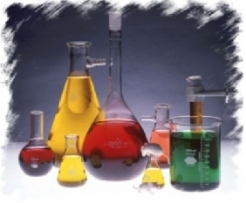 Chemphtec delivers best value products and services by taking advantage of global resources. Our services, process and technology expertise, management consulting, and outsourcing support are all offered to complement our product offering. We believe that our future depends on your future success and would be there with you to lead the way. Our products are produced globally by the best experts in the business with highest quality standards. The expanding product list includes fine chemicals, active ingredients, excipients and cosmetic products. You will lead the way by increasing the demand. Our services will bring best practice utilization and outside the box thinking to your business. We offer technical expertise to support your product and process development and management skills to give you the benefit of the best performance of your team. We can complement yours by effective outsourcing. Together we lead the way.